There&apos;s a lot of excitement in Birmingham right now - and it&apos;s not just about the prospect of potentially hosting the Commonwealth Games in 2022. It&apos;s been brewing for some time. 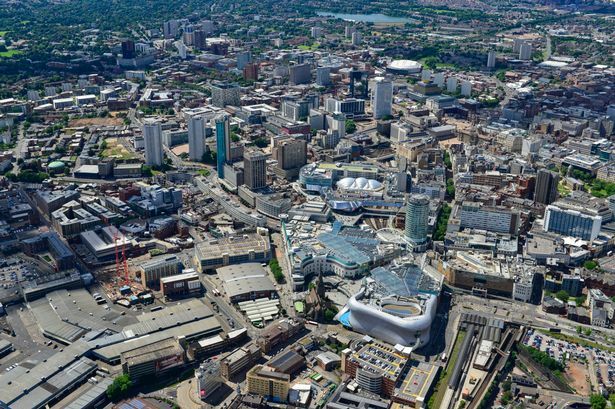 In every quarter of the city - from politicians, businesses and investors to the community as a whole - people want Birmingham to be a success story. This aspiration is a shared feeling and has become a somewhat Brummie spirit. It&apos;s an aspiration for the future but also for now. There&apos;s investment going on everywhere, from the recent redevelopment of New Street station, the arrival of HS2, plans for the expansion of the Midlands Metro, to regeneration of long-neglected areas like Eastside and Jewellery Quarter. We&apos;re attracting investors like HSBC and PwC, HMRC is heading our way and there&apos;s talk of Channel 4 relocating to Birmingham. We&apos;re reaching a critical period of change and opportunity and with that comes great responsibility to get it right so it secures genuine benefits for all in the future. We have the aspiration and investment - that&apos;s come about because we have an extensive list of attributes including geographical location, significant transport links, housing and industry and cultural quarters. But how should we develop this further and funnel these opportunities successfully? With the anticipation of the Commonwealth Games or being home to Channel 4, it&apos;s easy to think towards Birmingham in 2022 but what if these particular opportunities do not come to fruition? We can&apos;t afford to wait to see how these come about and meanwhile wait for other investment opportunities to fall in our laps. We need to plan and look ahead for future generations to Birmingham in 2030 and beyond. What does Birmingham need and what are the challenges? One thing we know for sure is that the only constant in a city is change, and a city that embraces that change is one that flourishes. Birmingham is no exception. We have a fiercely ambitious community and political leadership and the Big City Plan tells that story strongly. There&apos;s so much buzz and activity around Birmingham at the moment and we&apos;re ready to tap into this excitement and turn that into long-term investment opportunities. Birmingham 2030 - what does the city need and where should it invest? So, where do we look to and how best do we plan? To attract further investment, do we need to be more relaxed about density and tall buildings and parts of our skyline? Is it time for planners and architects to challenge our perceptions? And how do we ensure that what is built is of high design and quality? Looking towards industry, how should we draw on the opportunities presented by the growth of tech and life science innovation? Should we plan for &apos;innovation corridors&apos; where we link up distinct areas of the city and beyond? And what can be drawn from life science to make the city a healthy place to be? What type of housing, green and public spaces and culture attracts people to the city? And, if the bid succeeds, how can we learn from Glasgow&apos;s experience of hosting the Commonwealth Games? To make this city a success now and to 2030 and beyond, we need to consider where to invest and how to attract that investment. People make the city and people are drawn to places that have excellent infrastructure. By infrastructure, we&apos;re talking about the things that enable productivity, sharing and accessibility - transport, workplaces, technology, homes, green and public spaces and culture. The big question then is where should investment go and how should we plan this? And how do we set the right tone to enable this to happen? It&apos;s about focusing on what kind of city we want to be in 2030 now and to set out how we can get there. These are the sort of questions we&apos;re asking at Barton Willmore. We recently moved our Midlands office into the heart of Birmingham, in Cherry Street, and are excited about the opportunities in the city. We&apos;re asking fundamental questions about how the city&apos;s aspirations can be translated into actions and plans. On Monday, November 13, we&apos;re hosting a debate, joined by Mayor Andy Street and others, to explore priorities for the city and opinions on what infrastructure investment is needed. Called &apos;Birmingham 2030&apos;, the Question Time-style debate will be chaired by Marc Reeves, editor-in-chief of Trinity Mirror Midlands. The debate is going to be passionate and provocative and we&apos;ll be asking ourselves some difficult questions. Mr Street will be giving his viewpoints, sharing the platform with Gordon Shearer from KPMG, Victoria Hall from Trowers and Hamlins and Kathryn Ventham from Barton Willmore. We&apos;re looking forward to bringing everyone together to have a healthy debate about how to make our city successful and we&apos;re hugely excited to be part of a city that has so much potential and appetite to achieve it. The Birmingham 2030 panel event takes place on Monday, November 13, from 5.30pm to 8pm at the offices of law firm Gowling WLG at Two Snowhill. If you would like to register your interest in attending the event please contact us on tmmevents@trinitymirror.com or 0121 234 5922. Should you wish to ask a question to our panel, please mention it when applying to attend. Ahead of the event, we’d love to hear your views on the city so please take part in our short Birmingham City Poll here.